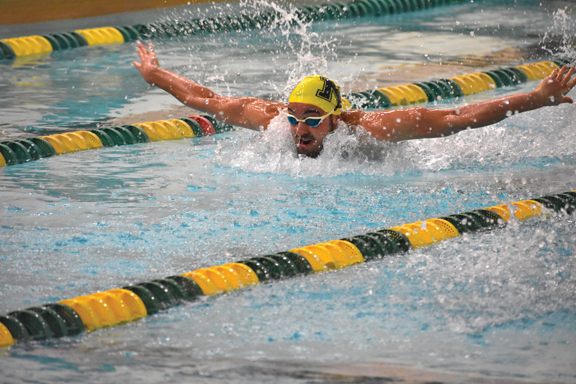 MARQUETTE — Forty-one swimmers from the swimming and diving teams at Northern Michigan University were named to All-Academic and All-Academic Excellence teams for the winter semester in the GLIAC recently. In all, 73 Wildcats earned honors, exceeding the previous school year’s count of 69 for the winter semester at NMU. 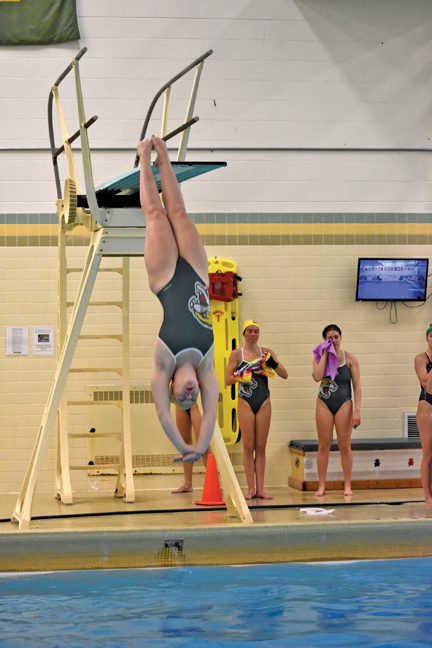 Women’s swimming and diving led the way with 22 honorees, while their men’s counterparts were next with 19. 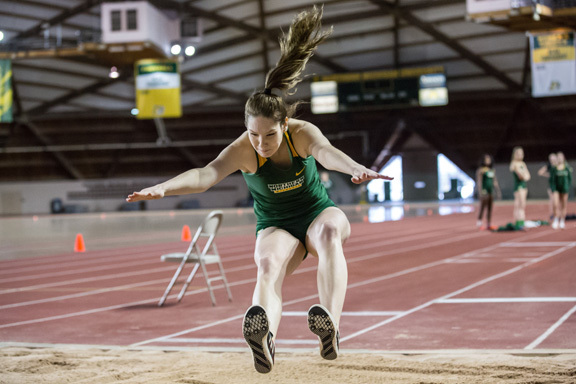 Women’s indoor track and field included 17 honorees, while women’s basketball had eight and men’s basketball seven. Among all the schools in the GLIAC, 576 student-athletes earned these honors. To be eligible, a student had to be on the active roster for their sport at the end of the season and had to be in at least their second year at their institution. All-Academic Excellence included students with grade-point averages of at least 3.50 and All-Academic had a minimum 3.00 GPA. 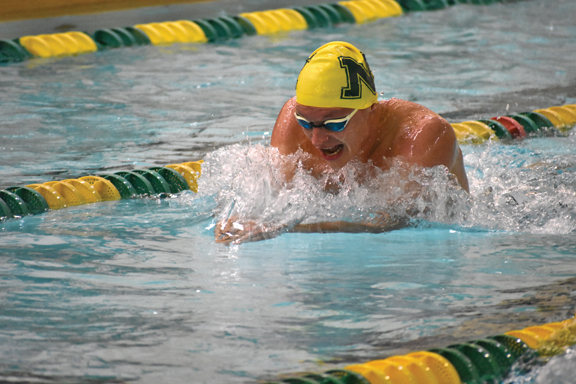 Eight former high school athletes from the area were honored in the two categories, including five who attend NMU — Amber Huebner in women’s basketball, Shayla Manitowabi-Huebner in women’s track, Nathan Rotundo in men’s swimming and Katrina Elzinga in women’s swimming, all for All-Academic Excellence. Izabelle Peterson in women’s track earned All-Academic laurels. All five are Marquette Senior High School graduates. At other GLIAC schools, All-Academic Excellence was earned by Ferris State junior biology major Katie Etelamaki in women’s track and Michigan Tech sophomore environmental engineering major Trent Bell in men’s basketball. Etelamaki is a Westwood graduate and Bell is a Negaunee grad. All-Academic honors went to Northwood junior marketing major Hunter Viitala in women’s basketball. Viitala is an MSHS graduate. The GLIAC news release on these honors can be accessed online at https://www.gliac.org/general_news/2018-19/2018-19_Winter_Awards/2019_Winter_Academic_Teams. Women’s basketball — Sydney Dillinger, sr., psychology-behavior analysis, Houghton; Taylor Hodell, sr., biology, Wausau, Wis.; Amber Huebner, soph., general studies, Marquette; Elizabeth Lutz, soph., management, Marshall, Wis.; Jessica Schultz, jr., fisheries and wildlife management, Mineral Point, Wis.; Chloe Tompkins, sr., public relations, Dousman, Wis.; Darby Youngstrom, sr., elementary education, Cook, Minn.
Women’s track and field — Lauren Alarie, soph., physical education-secondary education, Highland; Nina Augsten, soph., sport science, Koenigsbronn, Germany; Megan Bauer, jr., forensic biochemistry, Anchorage, Alaska; Lynsey Collins, jr., speech, language and hearing science; Escanaba; Dunja Drobac, soph., sport science, Novi Sad, Serbia; Paige Du Bois, jr., psychology, Green Bay, Wis.; Paige Dutcher, sr., finance and risk management, Williamston; Michelle Juergen, sr., sport science, Gau-Odernheim, Germany; Hannah Lonergan, sr., psychology, Novi; Elise Longley, soph., economics, Bloomington, Minn.; Shayla Manitowabi-Huebner, sr., sport science, Marquette; Katelyn Smith, jr., speech, language and hearing science,	Gaylord; Hanna Torvi, jr., pre-nursing, St. Paul, Minn.
Women’s swimming and diving — Emily Bell, sr., psychology, London, England; Cassandra Clark, soph., outdoor recreation leadership and management, Newport News, Va.; Katrina Elzinga, soph., biochemistry, Marquette; Jamie Kimble, jr., math-secondary education, Prior Lake, Minn.; Angela Probstfeld, sr., nursing, White Lake; Katharina Springhetti, soph., sport science, Tramin, Italy; Dana Stroven, sr., business, Howell; Taylor Susa, sr., psychological science, Buffalo, Minn.; Margaret Vaitkus, soph., fisheries and wildlife management, Munster, Ind. Men’s basketball — Alec Fruin, soph., marketing, Beloit, Wis.; Isaiah Johnson, sr., accounting, Whitefish Bay, Wis.; Kenton Mack, jr., biology, Algonquin, Ill.
Women’s basketball — Baleigh Delorit, jr., sport science, Algoma, Wis.